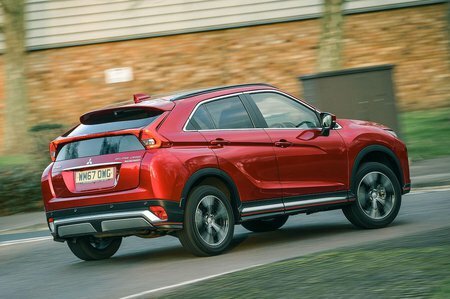 Mitsubishi Eclipse Cross 1.5 2 5dr 2019 Review | What Car? What Car? will save you at least £1,121, but our approved dealers could save you even more. It may be the entry-level offering, but 2 trim gets 16in alloys, keyless entry, climate control, a DAB radio, Bluetooth, automatic headlights and wipers, cruise control, automatic emergency braking and a reversing camera.